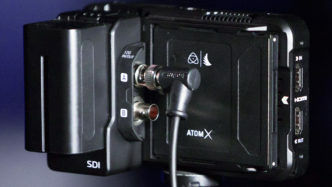 When Atomos released the Ninja V monitor/recorder, they also released a new expansion interface, called AtomX. With that universal port Atomos wants to expand the Ninjas feature set over time. 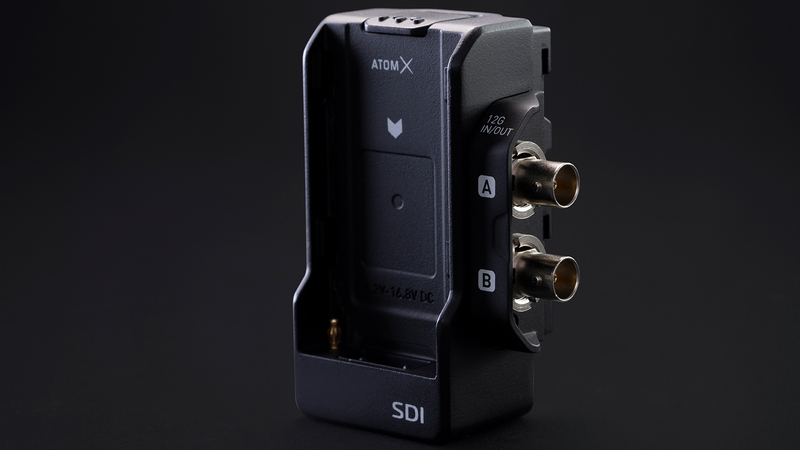 First they announced a Sync module and a NDI module but, and this may come as a pleasant surprise, the first module you can actually purchase is this: An AtomX SDI module. 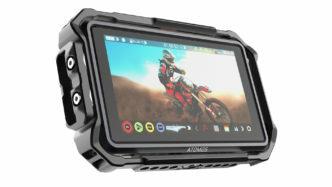 Atomos Ninja V with AtomX SDI module. With this AtomX SDI module attached to the popular, yet HDMI 2.0 only, Ninja V monitor/recorder, you get pro level I/O for your precious Ninja. The two standard 75 Ohm BNC connectors are called A and B, not In and Out. And here’s why: You can configure them freely to fit your desired setup! Dual link SDI in? No problem. Two independent SDI inputs for easy A/B switching? Of course. One input and a loop output? Certainly. Specifications and Video Formats The AtomX SDI module supports the following video standards: up to 4K60p or up to 2K240p. The two independent 12G/6G/3G SDI inputs/outputs are very flexible but as a word of warning, here is one feature they can’t do (yet? 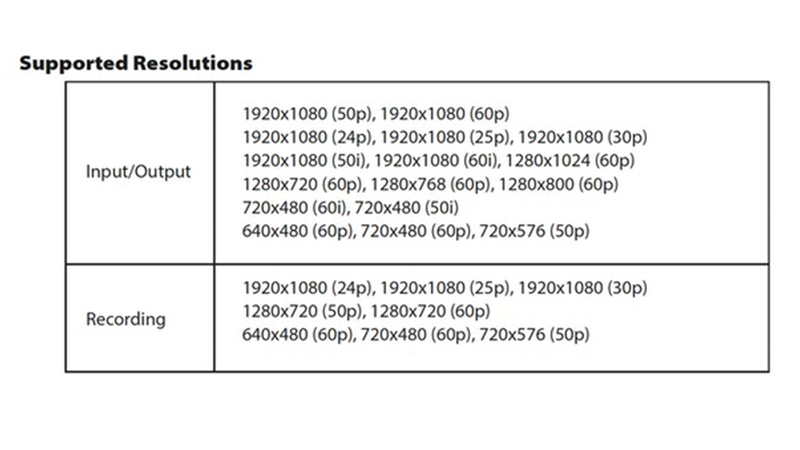 ): The Ninja V won’t cross-convert an incoming video stream over HDMI and output it via SDI. Turning it around, an SDI input can’t be routed to a HDMI output. It’s really a question of either SDI or HDMI. However, it is possible to output a (already recorded) video file over SDI and HDMI simultaneously. Recording from cameras over single or dual link SDI uses your choice of standard Apple ProRes and Avid DNx file formats. Log, HLG and Rec.709 gammas are supported. There is also the option to ‘burn in’ a LUT to the recorded image for quick turnaround productions where there is little or no time for post processing. Since the question will certainly arise, here is the quick answer: No, ProRes RAW is not (yet?) supported over SDI. 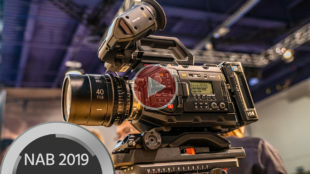 The only cameras which currently do ProRes RAW (over HDMI) in conjunction with the Atomos Ninja V is the Nikon Z 6 and Z 7. The AtomX SDI module is about the size of an NP style battery and fits snugly between the Ninja V and the actual NP battery. It will be available in May 2019 for $US199 / €199 plus taxes. 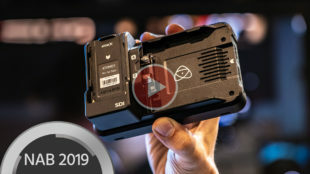 Other AtomX Modules The other two already announced AtomX modules, Sync and NDI, are on their way, too but according to Atomos CEO Jeromy Young the SDI became a priority: When we announced Sync and NDI, user feedback pushed us to make AtomX SDI a priority. So we’ve delivered it first, with NDI and Sync to follow shortly. Read here for our coverage of the Sync and NDI modules. Link: Atomos Website What do you think? Is an SDI fueled Ninja V what you’ve waited for? Share your thoughts in the comments below! 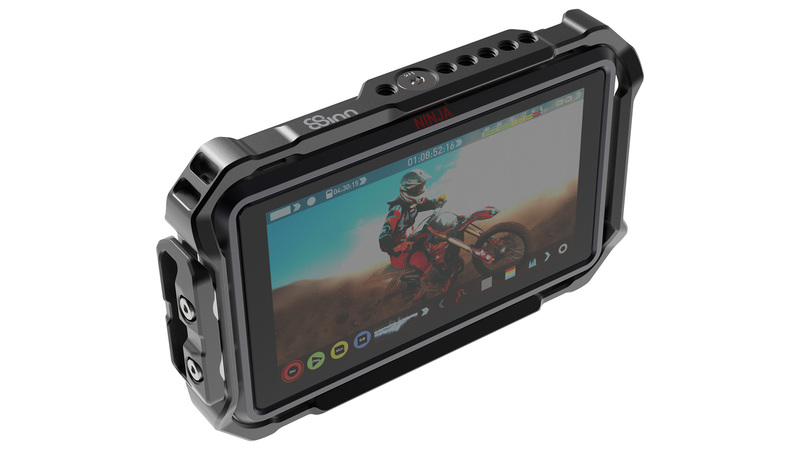 Polish camera accessories manufacturer 8Sinn has released a cage for the Atomos Ninja V — the wildly popular on camera recorder/monitor. Let’s take a closer look at their design. 8Sinn Cage with Atomos Ninja V For most scenarios, the Atomos Ninja V can be used as-is and added to the camera-rig via the 1/4-inch threads it sports on top and on the bottom. Add a small articulating arm or a little ball head with cold shoe adapter and you’re golden for many applications. 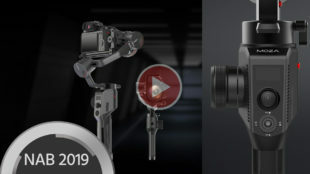 If the camera rig gets more complex, more mounting-points for the Ninja V might become a necessity and that’s where the 8Sinn Cage for the Atomos Ninja V comes in. The cage also offers some amount of additional protection against bumps and knocks on a busy set. 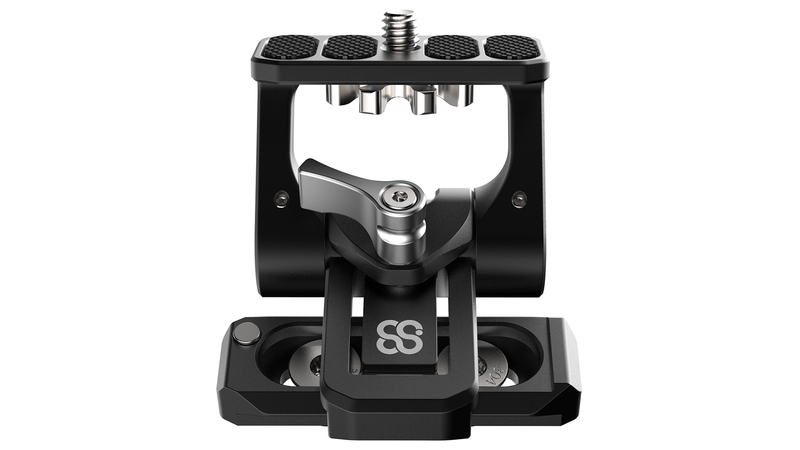 8Sinns Cage for the Atomos Ninja V is machined from a single piece of aluminum and fits snugly around the Atomos Ninja V, not adding too much bulk to the device. Two 1/4-inch screws engage in the Ninja’s top- and bottom threads holding it securely in place. Next to the bottom screw are two locking pins that prevent the monitor from twisting inside the cages frame. I’m not quite sure where those locking pins will engage with the Ninja V’s housing, but it seems that it has two Phillips-screws at the bottom that need to be removed for that purpose. All the ports and the on/off button are easily accessed with the Ninja mounted in the cage. The cage also does not obstruct any air vents. So basically the 8Sinn Cage can live on the device and does not normally need to be taken off. Both the top- and bottom part of the cage are shaped to be compatible with Nato-Rail clamps, which have become quite ubiquitous in camera rigging systems. 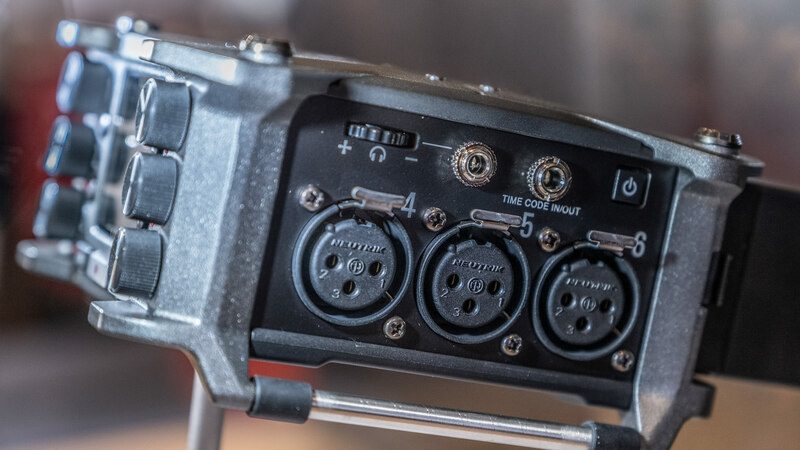 8Sinn Cage for Atomos Ninja V – Nato-Rails top and bottom The four corners all feature eyelets to attach a strap or cable ties —something that can be used for carrying or to tidy up cables on the camera rig. The left side of the cage has a built-in HDMI cable clamp that protects the Ninja V’s HDMI ports from damage, or the cable becoming loose when it gets jerked. 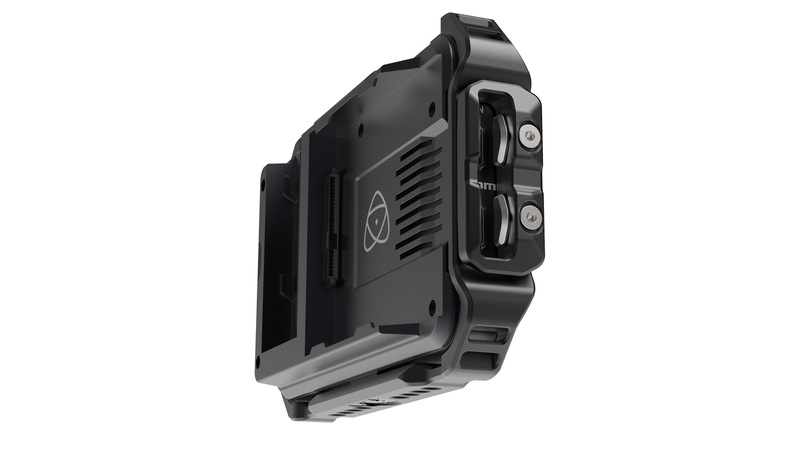 8Sinn Cage for Atomos Ninja V – HDMI cable clamp is included Although a cage like the 8Sinn Cage for Atomos Ninja V does make a lot of sense ins some scenarios, keep in mind that they add some bulk and weight to the camera rig. 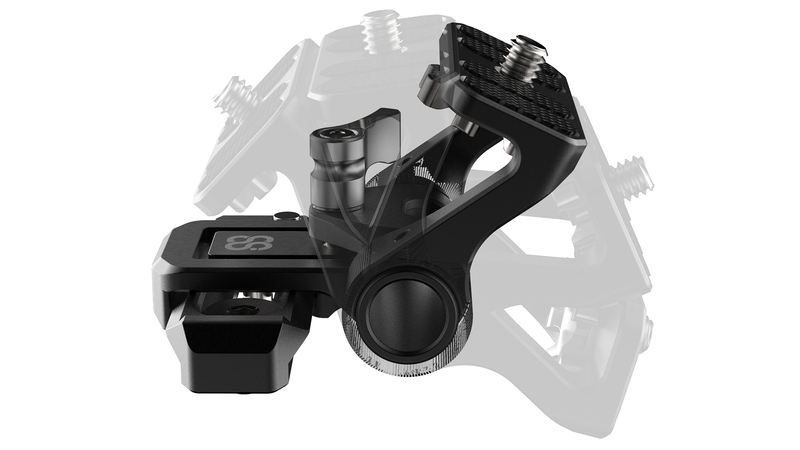 The set includes the 8Sinn Cage for Atomos Ninja and the 8Sinn HDMI cable clamp. 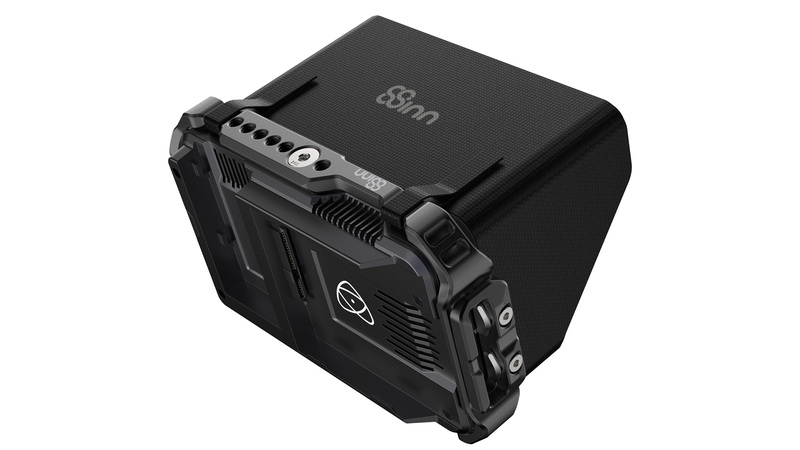 8Sinn Cage for Atomos Ninja V – w/ optional Sunhood 8Sinn also offer an optional sun hood that makes it easier to see the monitor in bright sunlight, which can be attached by small strips of velcro. Let us know in the comments if you are using cages on your on-camera monitor if you deem cages for monitors useful or whether you are thinking about buying one. 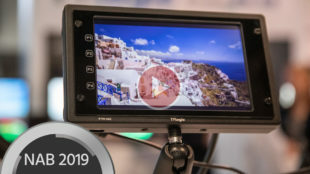 Now that the new Atomos Ninja V Monitor/Recorder is available for just over a month, the company pushed hard to deliver a huge upgrade for their devices underlying operating system: AtomOS 10 offers some very handy improvements for the new 5″ Ninja V. Let’s have a quick look, shall we? 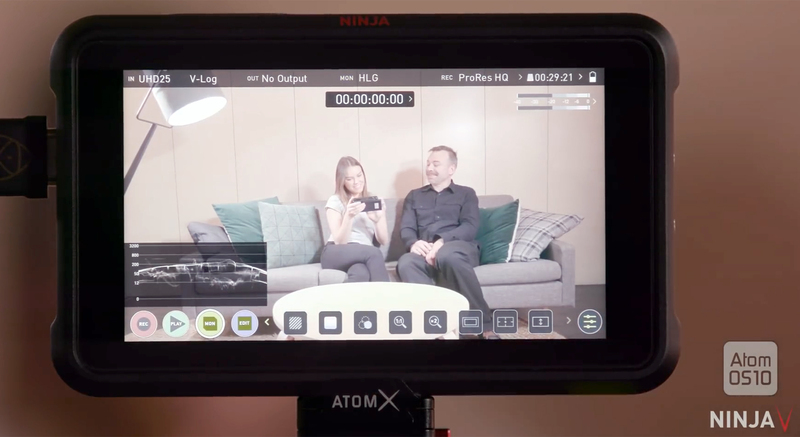 newly designed Atom OS 10 If you’re new to the Atomos Ninja V monitor/recorder, catch up here and here. AtomOS 10 (10.01 to be exact) comes as a free-to-download piece of software. Once you’ve installed it, you’ll be rewarded with a familiar, yet very different user interface. 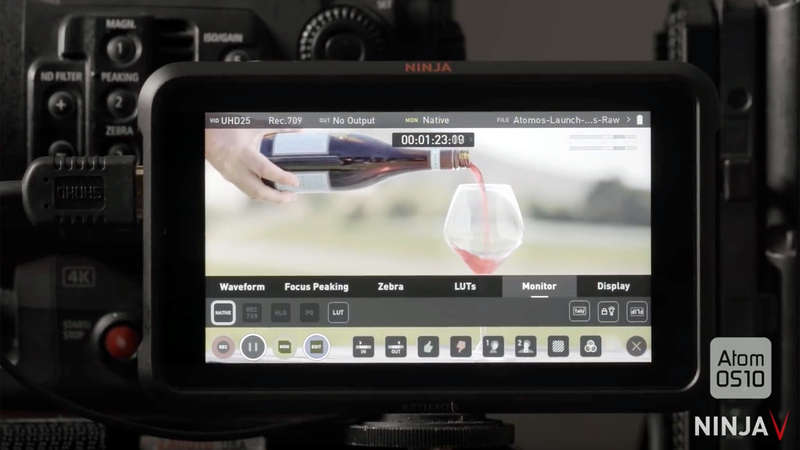 Since the Ninja V is all about HDR recording and monitoring, Atomos chose to make the different UI elements less distracting and therefore reduced their saturation quite a bit. It’s all about the actual image you’re monitoring, really. But there’s more, obviously. AtomOS 10 Apart from the less saturated UI elements (a nice touch, much more pleasing to the eye I think), Atomos also changed the arrangement of these elements and even reworked the whole menu system in order to make it easier and more accessible. If you’re updating from an earlier version of AtomOS, it’s pretty clear that this new version is really about cleaning up the user interface. It’s also about keeping the actual image in view at all times, without having many overlaying pages and menus. The entire user interface has been carefully reworked to cater for the smaller 5″ screen of the Atomos Ninja V. Improved Features Once you’re done setting up the unit for your given shot you can easily get rid of all the overlays by just tapping the screen. That’s fine but this will also disable all the crucial information you probably want to keep an eye on, such as audio meters or a HDR waveform. That’s where the newly designed shooting page comes in. Once you’re done with your monitor settings and tap “MON” again, a discrete status bar is the only thing that appears beneath your current image. That status bar includes useful information such as battery status, recording status, an HDR waveform, audio meters and access to all the well-known REC, PLAY, MON and EDIT settings. One of the major changes AtomOS 10 addresses is the way you select the type of input signal coming from your camera. This setting used to be part of the Monitor page of the menu. Now it can be found on the Input page and that is -at least to me- a much more appropriate place for this particular setting. 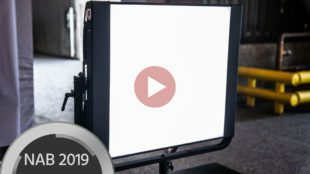 Jeromy Young, CEO of Atomos, has put together a in-depth walk-through of all the new Atom OS 10 features, make sure to sit back and watch it here: HDR – Slider vs. Buttons Another major change addresses the HDR slider of previous versions of Atom OS. Actually, as Jeromy Young states in the video, at the time they developed their first HDR capable monitors/recorders, there simply was no industry standard which determined how to deal with different HDR modes for different delivery scenarios. But now there are and that’s the reason the company decided to replace the HDR slider with 4 different buttons, each reflecting a dedicated standard: Native -> just the plain, unprocessed Log image from your given camera is being displayed Rec.709 -> a basic LOG to Rec.709 curve is being applied to the image (a.k.a. 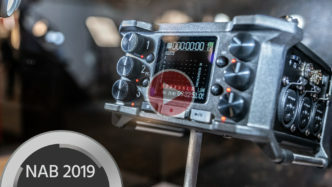 SDR – Standard Dynamic Range) HLG (Hybrid Log Gamma) -> a HDR standard which is also compatible SDR displays, a good compromise so to say PQ (Perceptual Quantizer) -> a higher HDR standard which allows for HDR video with a very high luminance level (up to 10,000 cd/m2). It also supports Rec. 2020 color space. The introduction of these fixed standards allow for a much more precise preview of the actual result once the recorded Log footage went through post-production. 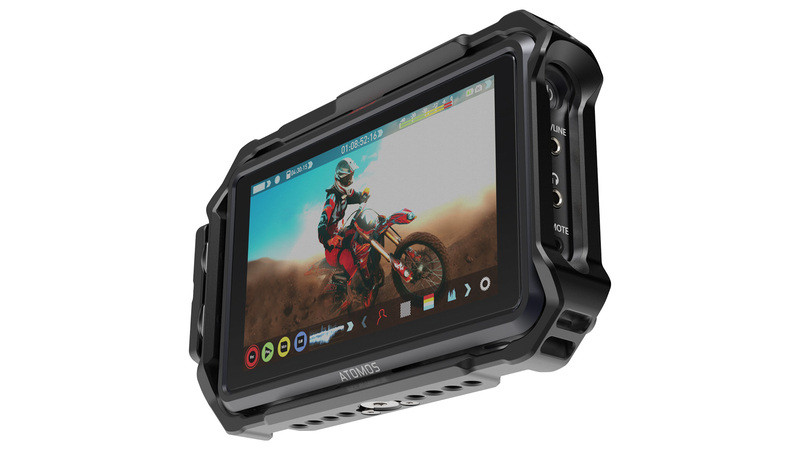 Remember: Everything which is displayed on the Atomos Ninja V’s screen is just a representation of the actual Log footage which is being recorded. Think of it as a kind of preview. Nothing is being baked into the actual recording, so even if you’re switching from beautiful looking HLG to awfully blown-out Rec.709 while you’re recording, nothing is lost! It’s just a preview which helps you (and your client, of course) getting the most out of your given camera and Log profile. 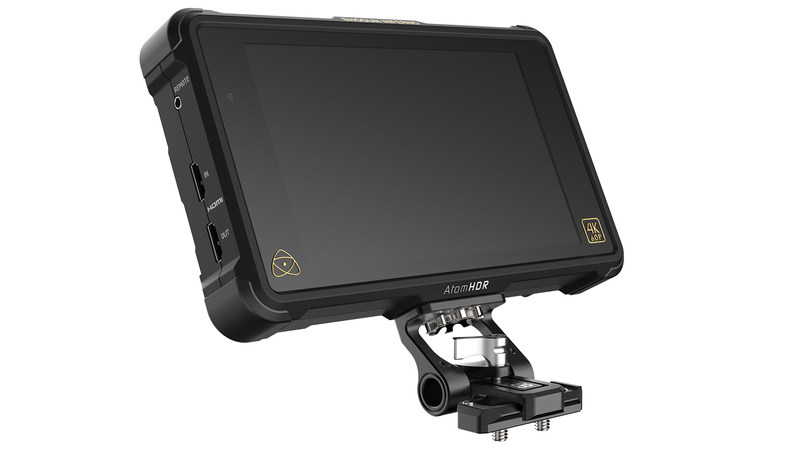 Conclusion All in all the features and improvements found in AtomOS 10 really make the new Atomos Ninja V shine. The new layout of the menus improve the usability and are way less distracting. The less saturated buttons are a nice touch, too. Even if the old HDR slider seemed cool, the new standardized buttons are much more accurate in order to nail your exposure for a certain delivery format. So I think this new firmware is really a no-brainer and you definitely should give it a try! Atomos Ninja V with some (but not all) of the most popular recent mirrorless cameras. Links: Atomos.com Do you already use the new firmware? What do you think of these changes? Share your thoughts and experiences in the comments below! 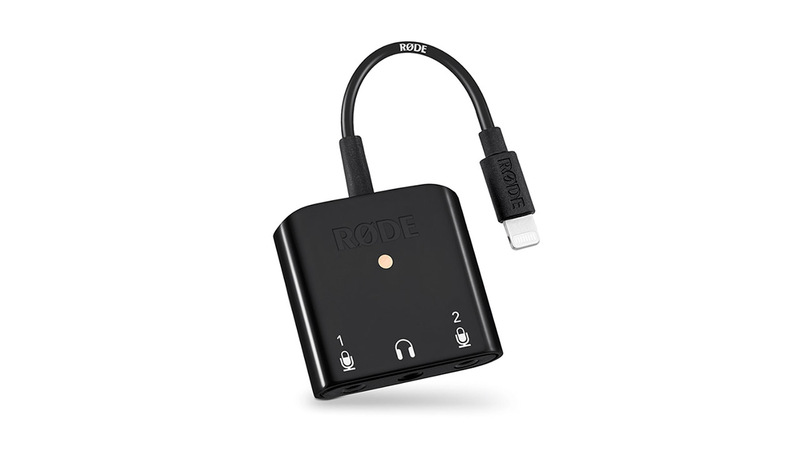 The SC6-L is a 3.5mm-to-lightning adapter, and RØDE’s newest move on the mobile market. 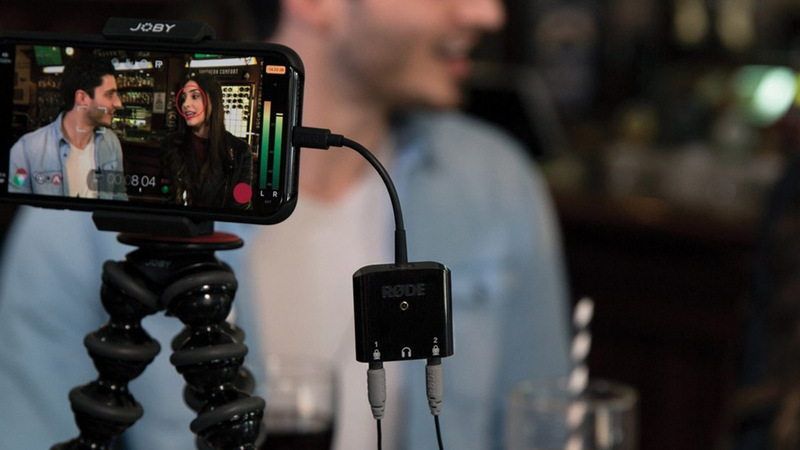 This might seem out of place for RØDE, until you realize that they’re selling it in bundles with the smartLav+. Inputs and Outputs The SC6-L (talk about a mouthful) allows for two microphones and a set of headphones to be plugged in simultaneously. This might not be a groundbreaking piece of technology, but it is a much-welcomed addition to their lineup, especially given the growing number of users who have upgraded to iPhones without the headphone jack. I haven’t seen any hard stats, but I have to believe we are the majority now. Updating the Familiar This is an update to their original SC6, which sported two 3.5mm input jacks, and one 3.5mm output. Unfortunately that adapter had a serious flaw: it recorded both audio sources down to one mono track. Recording an interview in mono is a very risky proposition, given that the questions and answers are baked together. Thankfully, the SC6-L records stereo, allowing for much more flexibility with your newly-recorded audio. Two channels are always better than one. 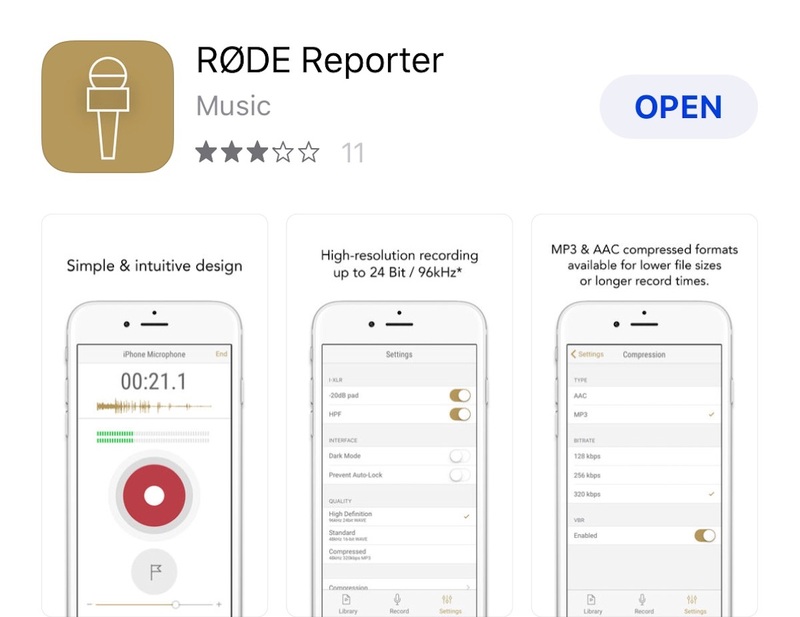 iOS App Support Pairing with their “RØDE Reporter” iOS app, you can record 24-bit AAC or MP3 up to 320kbps and export directly to Google Drive, Dropbox, iCloud, or wherever else you like. But of course, that’s just through their app. You can record with whatever app works for you, be that GarageBand or a video app like FiLMiC Pro. However, if you do choose to use their app, you have option to record the incoming audio as one stereo pair or separate tracks. Not only that, but you also have the ability to set microphone pre-gain. The app and the SC6-L are really built to work in tandem. Free, easy, and available now! Where’s My USB? One can’t help but notice that there is no announcement of a similar product for Android users, either with USB-C or Micro USB. While it isn’t unusual for film-related apps and gear to be iOS exclusive, it is still endlessly frustrating and limits the options of indie filmmakers on a budget. 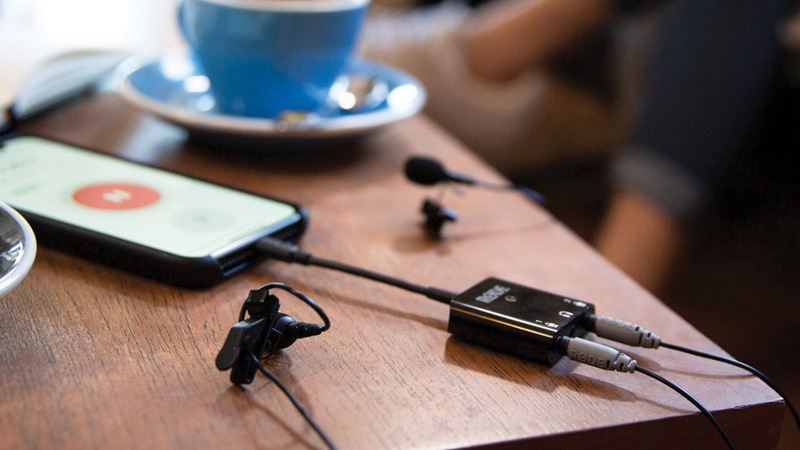 RØDE’s “Interview Kit,” as they have dubbed it, includes one SC6-L and two smartLav+’s. Would you feel comfortable using your phone as a recorder on a professional shoot? Do the SC6-L’s features justify its price point? Share with us your thoughts in the comments below. 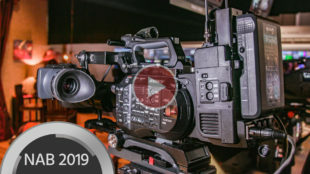 As a manufacturer of camera accessories, coming up with clever ideas that make camera operator lives a little easier the best thing you can do. And it seems like this is exactly what the 8Sinn Monitor Holder is all about. It seems to be the golden age of monitor/recorders once again. 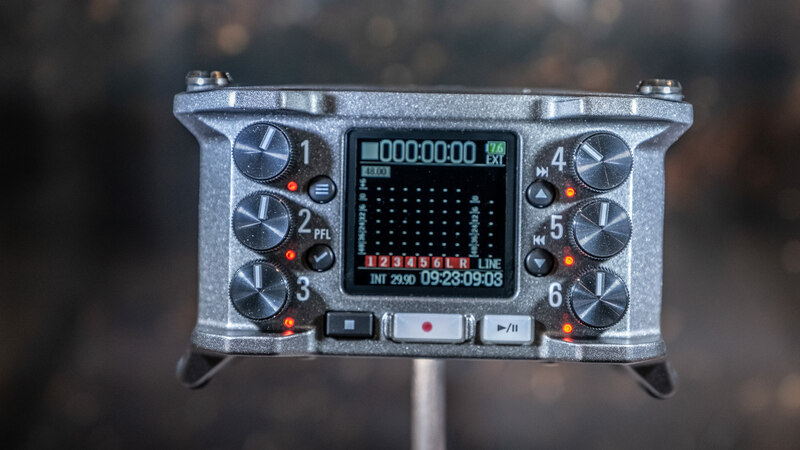 External recorders are becoming the weapon of choice for many indie shooters because they’re capable of unlocking the full potential of modern video cameras, not only since the announcement of ProRes RAW. But how to mount such a device to your camera effectively? Monitor holders can be cumbersome, but this one seems to fit the bill. The 8Sinn Monitor Holder is actually quite simple, yet very handy. It cosists of two arms, a tool-free 1/4“ screw and a mounting thumb screw. The arm mounting to the monitor/recorder rotates 180 degrees. The 8Sinn Monitor Holder is designed to be mounted to the camera itself via a standard NATO rail. That way it’s very versatile and you can attach or detach it very quickly to your rig. The whole thing is made of aluminum alloy which is sturdy and lightweight. To me, this a very handy device which renders weird magic arm constructions obsolete while maintaining a small footprint on your rig. Since the 8Sinn Monitor Holder is such a straightforward accessory it seems almost to be a no brainer to me. You have to make sure that your rig offers the necessary space for it, of course. But since NATO rails are a quite common way of attaching things to a camera cage, you‘ll probably have some of these already attached to your rig anyways. The 8Sinn Monitor Holder is scheduled for delivery now. There are two options to purchase this little device. Either with 60mm NATO rail ($95) or without it ($79). So, if you already have some NATO rails you can save the extra $16. 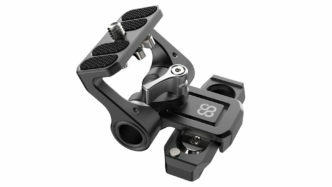 Links: 8Sinn.com Are you tired of wobbly magic arm mountings? What do you think of this handy little helper? Let us know in the comments below! LukiLink is a tiny device that lets you connect your camera to your smartphone for monitoring, recording and streaming. Now on Kickstarter! 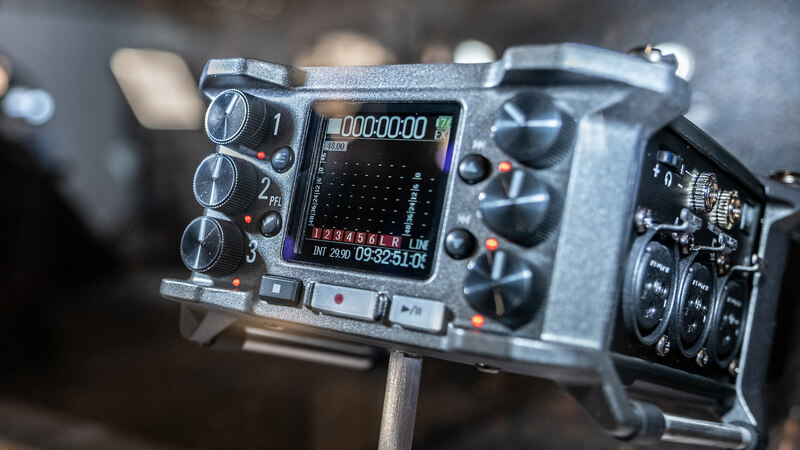 External monitor recorders are quite popular in modern indie filmmaking workflows as they offer a variety of features to enhance the shooting experience, such as exposure tools and edit-friendly codecs. At their most basic, though, they are just a really big screen to better see what you’re shooting. However, adding a monitor recorder can not only make your rig bulky, it can also mean quite a significant investment. 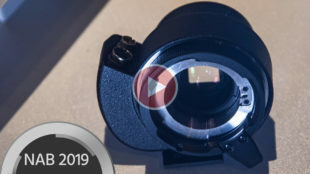 LukiLink aims to solve both these issues by providing you with a slim and inexpensive solution to monitor your camera image on a larger screen. How? By using your smartphone’s screen as a display. LukiLink – How it works Simply put, in terms of hardware LukiLink is a female full-size HDMI to female USB adapter that converts the output signal of your camera to one that your smartphone can interpret. On the software side, LukiLink provides an app that allows you to display the image with just a minimum amount of latency – small enough, one could argue, to accurately pull focus with. In addition to monitoring the image, you can also use your phone to capture the incoming video right there to your device’s internal storage. 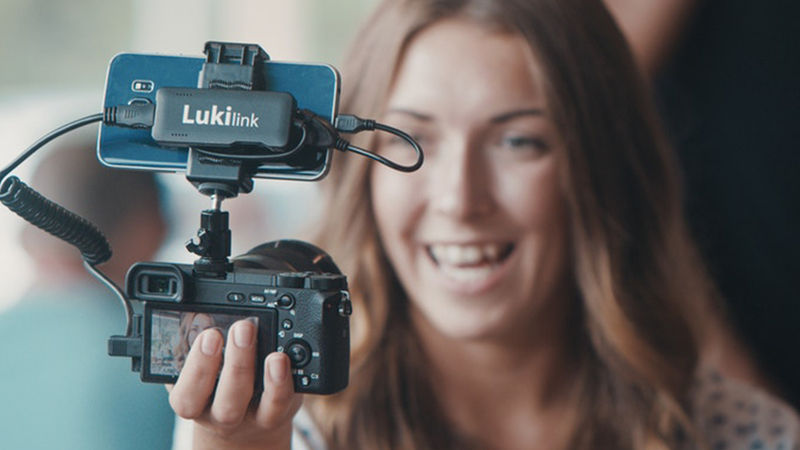 While LukiLink can’t compete with the recording capabilities of professional recorders writing to SSDs or even SD cards due to its limited bit rates (15Mbps maximum), it does mean you can have instant access to your footage for editing and sharing straight from your smartphone. You could in theory go from shooting on a RED, to editing and uploading to social media without ever needing to go through a computer. And speaking of social media, the LukiLink app features live-streaming capabilities to most popular platforms, meaning your Facebook Lives could suddenly get a lot more cinematic. Not only that – without the need to somehow get a signal to a computer, and by using your smartphone’s WiFi or network data, your large-sensor social media broadcasts suddenly become a lot more mobile. LukiLink supports inputs of up to 1080/60p, and can record at up to 1080/30p. You can find a full list of supported resolutions in the table below: Although LukiLink is currently only available for Android, an iOS app is under development. The manufacturer hopes to have it ready by the time LukiLink starts shipping in October this year. This is only one of the planned improvements for the app, with other features such as 4K, LUT support, less delay and tools like peaking and waveform also in the pipeline. If LukiLink delivers on its promises, it has the potential of becoming a very powerful and inexpensive tool indeed, especially if you consider the versatility of also being able to use it with tablet devices. Hardware-wise, a Pro, SDI version is also planned for the future. 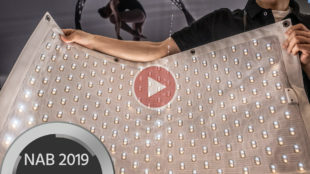 For more information, check out the LukiLink Kickstarter campaign, where you can find plenty of early bird deals still available. At the time of this writing, you can pre-order LukiLink for €79, €50 below the manufacturer’s suggested retail price of €129. Will you be hitting that Kickstarter pledge button? Let us know in the comments below! 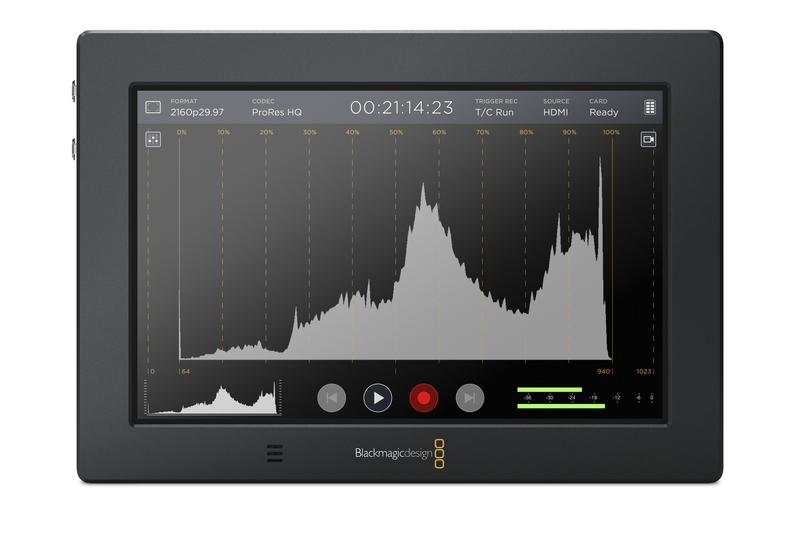 Blackmagic has announced a firmware update to their recently discounted Video Assist 4K monitor/recorder. The Video Assist 2.5 update adds a professional vector scope, waveform monitor, RGB parade and histogram. What’s new in the Blackmagic Video Assist 2.5 Update Add multiple Scopes to the Video Assist 4K Add Anamorphic Desqueeze to the Video Assist 4K Add Blue only to the Video Assist 4K General performance and stability updates to the Video Assist and Video Assist 4K Minimum system requirements for macOS macOS 10.12 Sierra or later macOS 10.11 El Capitan USB 2.0 port for software updates Minimum system requirements for Windows Microsoft Windows 10 64-bit Microsoft Windows 8 64-bit USB 2.0 port for software updates Demoed at NAB back in April, these professional new scopes can be viewed full screen for accurately evaluating video signals passing through the Blackmagic Video Assist 4K, bringing its feature set even closer to more expensive monitor/recorders on the market. 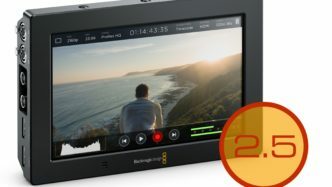 Blackmagic Video Assist 2.5 update is available now from the Blackmagic Design website free of charge for all current Blackmagic Video Assist 4K customers.